PhotoMosaics are large images constructed from many smaller images. 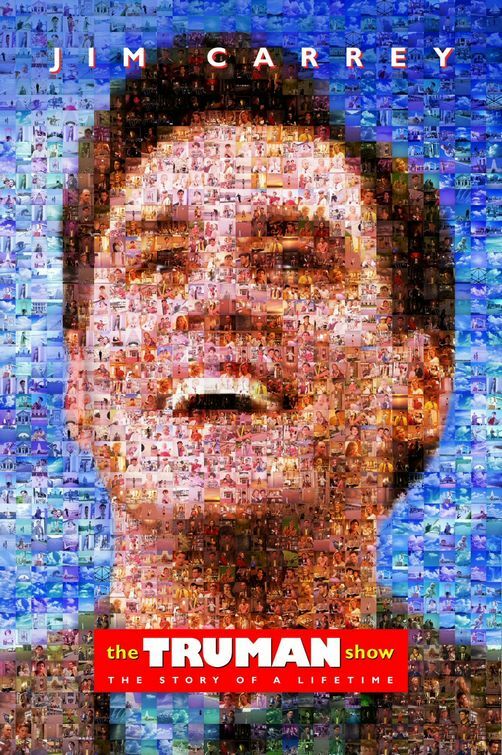 The first one I remember ever seeing was the Truman Show poster. PhotoMosaic commissions require about 300+ photos (e.g. holiday photos, wedding photos) to work properly – but preferably about 2000 shots to get it looking really nice. They look amazing from a distance as well as close up. It takes countless hours (sometimes days) to get just right. Sometimes I’ll modify the original image to get more of a colour range, to make more use of the image selection. A gift for Robyn in Atlanta. This was made from her ridiculous amount of (3000+) Facebook photos (I used some nifty software to pull them all out into a folder). It took forever to find the right source photo, then I modified it in photoshop to bring the dogs (Mickey RIP and the beautiful Bella) closer to her face. It took about 20 revisions to get one I was happy with, each one being 165 megapixels. I had Walmart print it, looks pretty cool on the wall! These were made of my friend Lisa’s travelling photos (a trip to Peru) of which there were about 2000 images. My parents look after orphaned and injured wildlife. These mosaics were made from the many images Mum had collected of various animals. My friend Nina made from photos from her textile-fashion and modelling days.